You are here: Home / gift ideas / Customized Gift Ideas that are Perfect for Mother’s Day! Just the other day, my daughter asked what my favorite holiday was. While I love Christmas-time for all the decorating and big family gatherings, my birthday for the cake, parties (and of course all the Facebook birthday wishes,) Mother’s Day is actually my favorite holiday. It’s the day I get tons of extra love, sweet snuggles, kisses and handmade keepsakes and goodies from the kids. (Thank you, teachers, lol!) I also get to sleep late, have breakfast in bed, usually lunch out with family and then a leisurely afternoon of whatever I want and no chores! While visiting at my parent’s house recently, I saw a framed family photo I had given them about seven years ago. I commented how sweet and little the kids were in the photo and my Mom said that was the most recent family picture she had of us and she would love to have a new photo. When choosing what to create for my Mom, I wanted to put together a gift that was meaningful and included items she would display and actually use. With just a few clicks, I added a few recent photos and personalized it with a Mother’s Day message! I loved these mugs so much; I ended up making personalized mugs for everyone in the family. 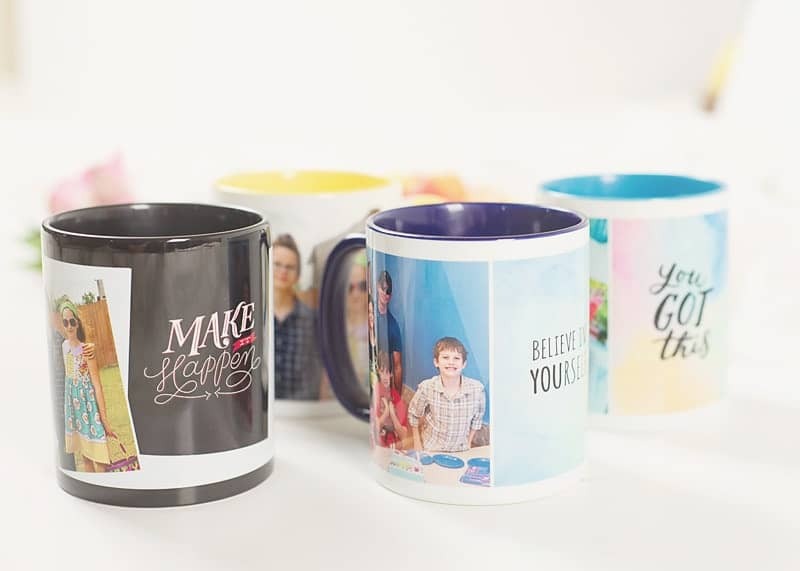 I customized each mug with two photos and an inspirational quote from Shutterfly’s Art Library. Another gift I thought my Mom would like was a new display photo for her desk to replace the outdated family photo. 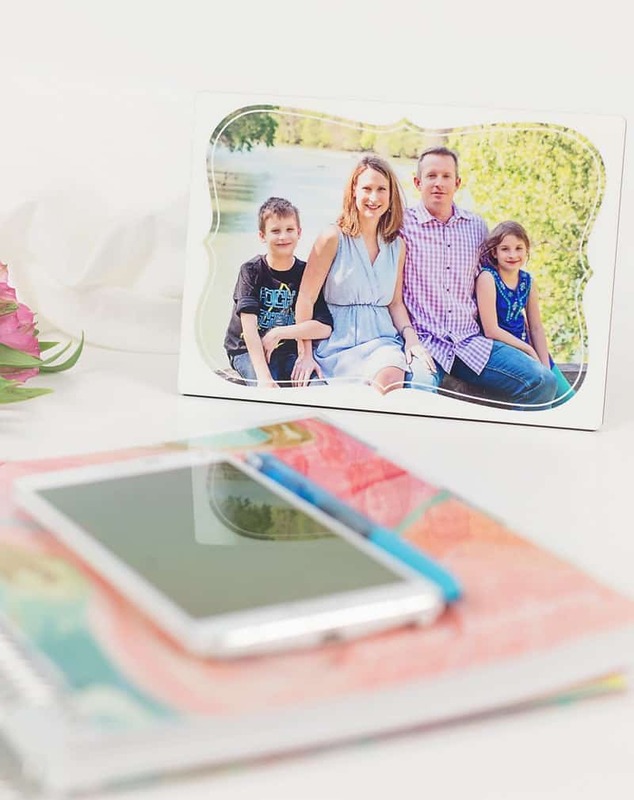 Shutterfly has multiple sizes, shapes, and themes of desktop plaques to choose from. You can add anywhere from one to ten photos (depending on your chosen layout) and customize it with a personal message. I love the look of the little bracket framed plaque, so that’s what I chose for her. 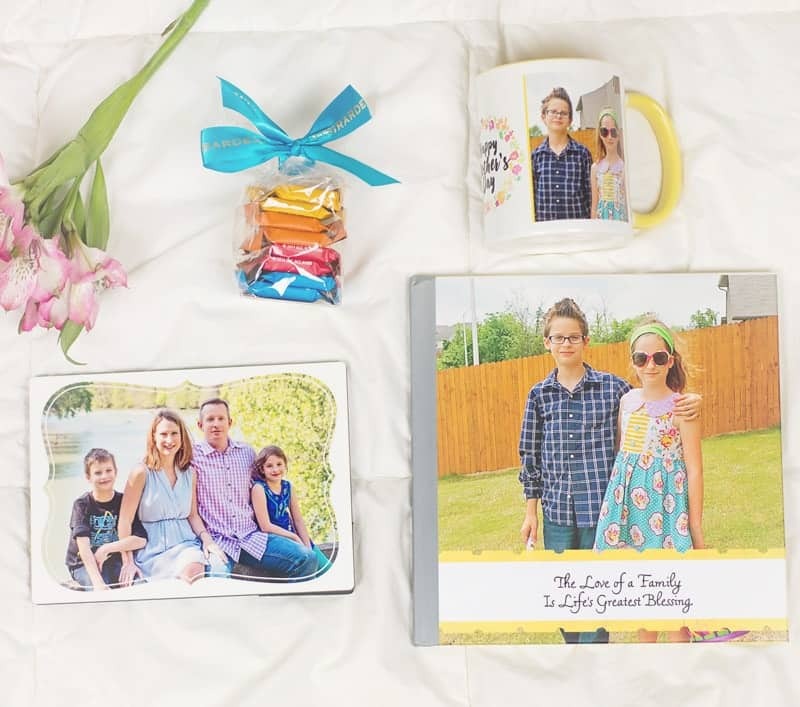 If you want to include a Photo Book, but are short on time, I recommend using Shutterfly’s Make My Book™ Service. 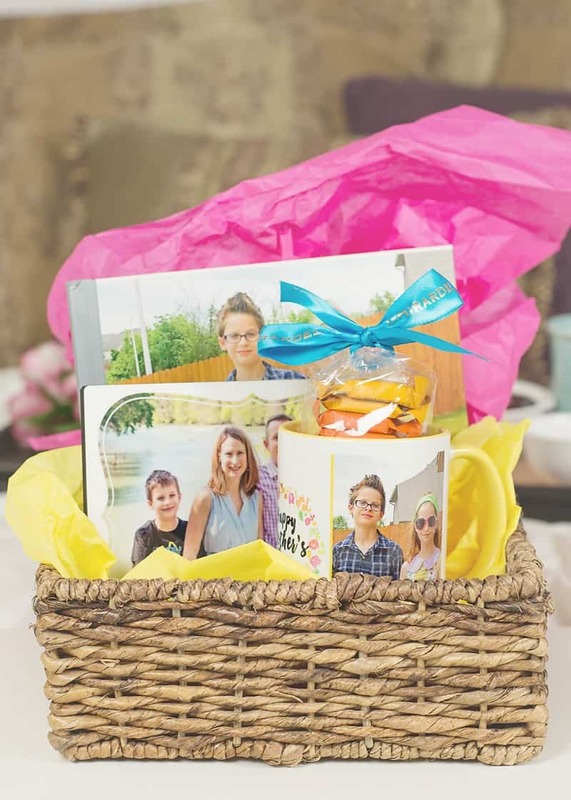 It’s a great service because you just upload your photos, and the Shutterfly designers will curate your pictures and make a photo book for you. 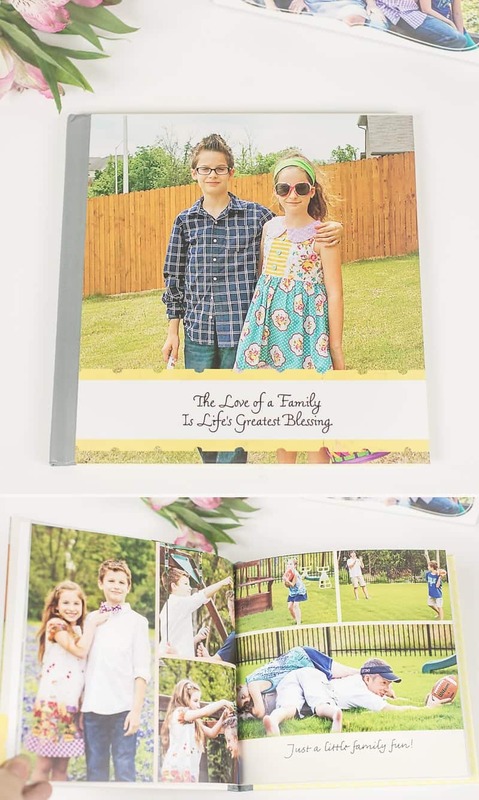 If you enjoy making your photo books but are still looking for something fast and easy, you can also use Shutterfly’s Simple Path® – your photos are instantly arranged in your book and generally only need a few minutes of time to get the crop just right on some of the photos. I want to make sure my mom feels special on Mother’s Day, and I can’t wait to give her the gifts I’ve picked out, I know she’ll love them! Wouldn’t your Mom love a personalized gift too? Now it’s your turn. What gift would you love to give your Mom for Mother’s Day? Personalized gifts are always a win. Especially for parents or grandparents. Who doesn’t love something personalized? I would be really happy with a nice customized canvas print or mug on Mother’s Day. I think that could be a wonderful gift idea. I love the shutterfly photo books. Each family vacation gets it’s own shutterfly book made. So easy. I almost lost my momma last week. I want to make her Mom’s Day extra special this year. These are great ideas. I still haven’t checked out Shutterfly but now with all of these goodies I will. Now I know what to get for my mother-in-law. Oddly enough I was just thinking about making myself a photo mug earlier today. My Mom does love photos and she would be happy to receive a photo mug too. 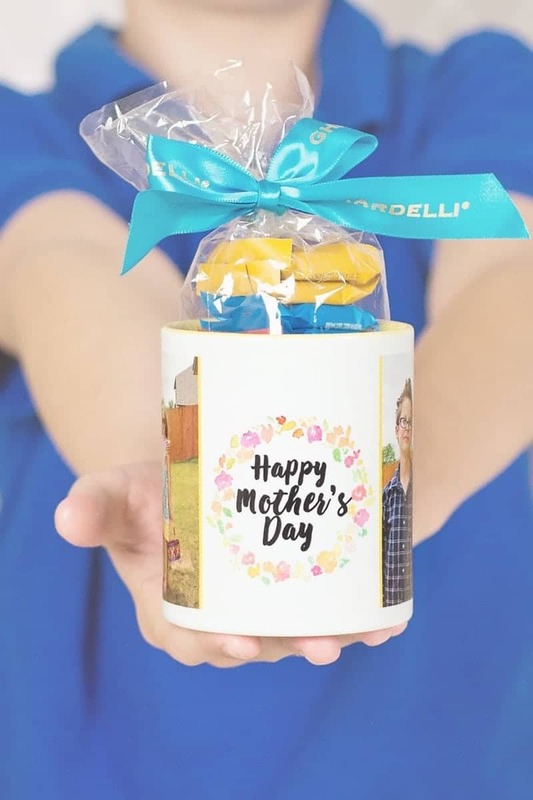 I love the personalized mugs because we collect them 🙂 Great ideas for mother’s day gifts! I’m so late for Mother’s Day this year. I wanted to get some photo books for the grandmas, but I waited too long lol Maybe next year. I really love your idea to get a customized photo book for a holiday. Father’s Day is coming up. My father and I recently went on a trip to Tibet together, so it’d be fun to put together a photo book for a gift.